Angela Merkel has vowed to take charge in creating a new EU army that will defend Europe against the “dangers” of a Trump administration. 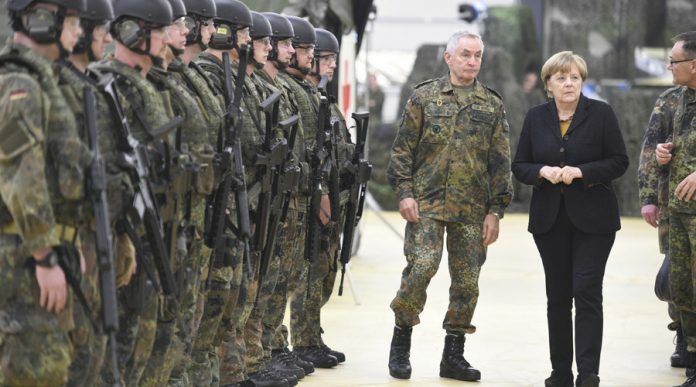 The German leader says that the European Union needs to have its own army that will take on “more responsibility in the world,” as diplomatic relations between America and Europe “thaw” due to political differences. Theresa May has pledged to trigger Article 50 by the end of March at the latest, and is set to deliver a major speech next week outlining what the Government hopes to secure in the upcoming negotiations. 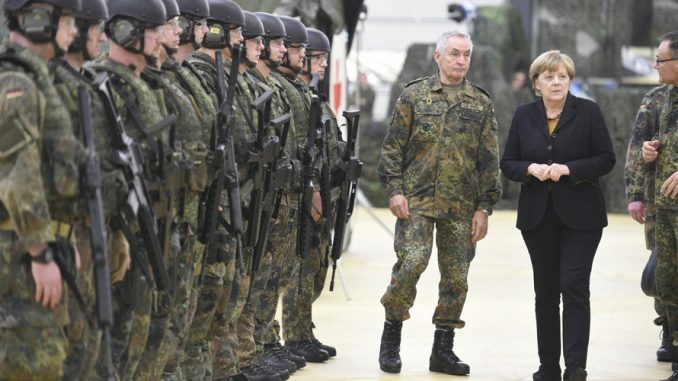 Britain has been a staunch opponent of the creation of an EU army for years, arguing that it threatens NATO, and the PM has already pledged to do everything she can to prevent the scheme from becoming a reality.